Save on your next flight from BLQ to DOL when you book through Travelocity. Need a last-minute flight to Deauville? Travelocity offers discount airfare no matter when you book, even on popular routes such as Guglielmo Marconi Airport to Normandie Airport. Whether you need a direct or indirect flight, you can trust Travelocity to provide you with the best prices for BLQ to DOL flights. Flight path for flights from Guglielmo Marconi Airport to Saint Gatien Airport. Below are the most flown air carriers at Bologna (BLQ) airport. Click to see their most popular routes and look for airfare. Below are the most flown air carriers at Deauville (DOL) airport. Click to see their most popular routes and look for airfare. Explore Deauville with Travelocity's Travel Guides to find the best flights, cars, vacation packages and more! Located in Deauville City Centre, this golf hotel is 0.5 mi (0.9 km) from Deauville Marina and 1.6 mi (2.5 km) from Deauville Beach. Marché aux Poissons and Promenade des Planches are also within 15 minutes. Trouville-Deauville Station is only a 4-minute walk. 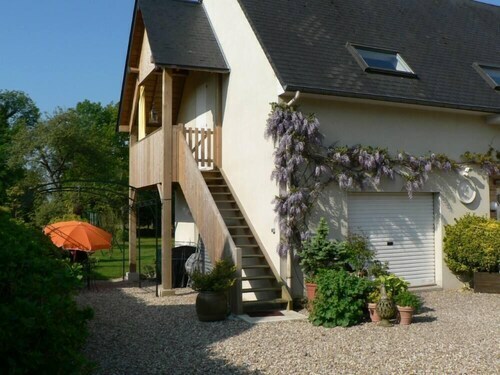 Situated on the waterfront, this vacation home is 2 mi (3.2 km) from Deauville Saint-Gatien Golf Club and within 6 mi (10 km) of Marché aux Poissons and Barriere Casino Trouville. Saint-Laurent Chapel and Mont Joli are also within 6 mi (10 km). 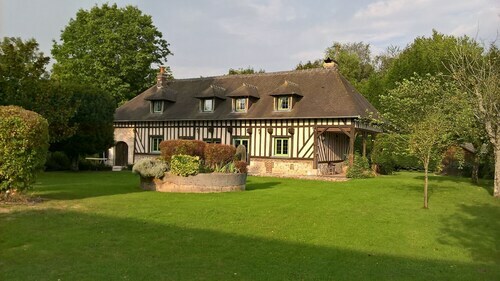 Situated in a rural location, this bed & breakfast is 1.1 mi (1.7 km) from Deauville Saint-Gatien Golf Club and within 6 mi (10 km) of Manoir d'Apreval and Mont Joli. Seine Bay and Old Harbor of Honfleur are also within 6 mi (10 km). 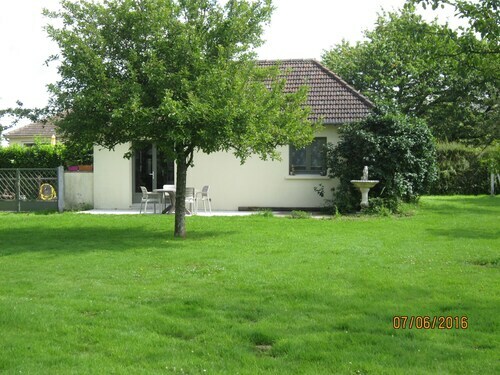 This family-friendly Saint-Gatien-des-Bois cottage is located by the ocean, 1.9 mi (3 km) from Deauville Saint-Gatien Golf Club, and within 6 mi (10 km) of Marché aux Poissons and Mont Joli. Plateau de Grace and Salt Halls are also within 6 mi (10 km).